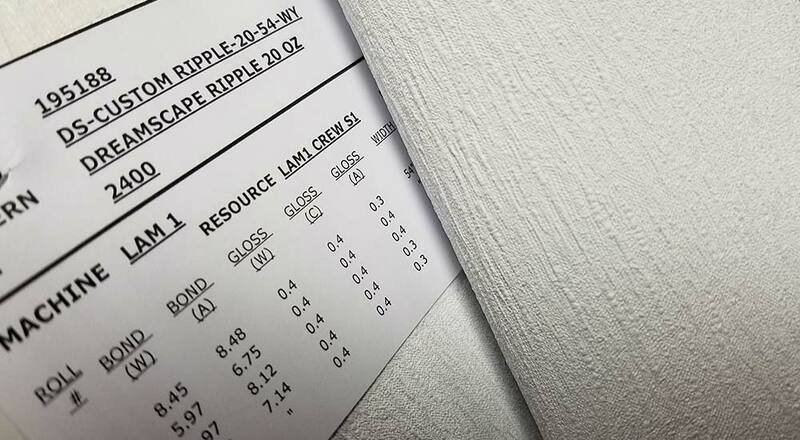 A custom color base material could reduce your printing costs and improve overall quality. If your project requires a solid background, it could be less expensive to start with a colored DreamScape ( think machine time and ink savings!). 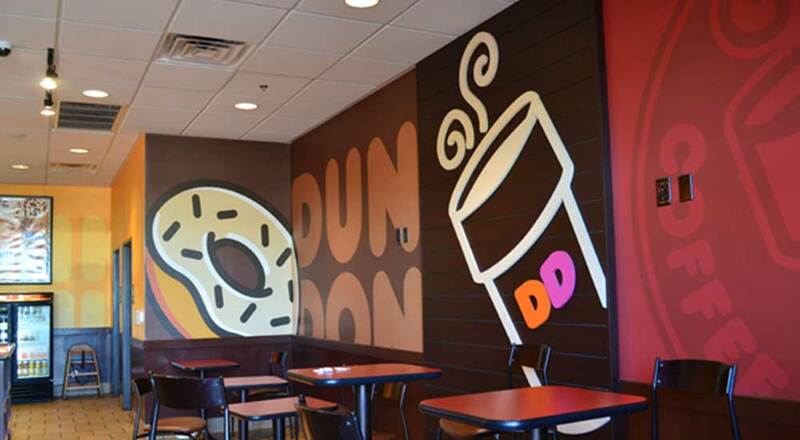 Many Dreamscape products can be created in a custom color to suit the requirements of your project. 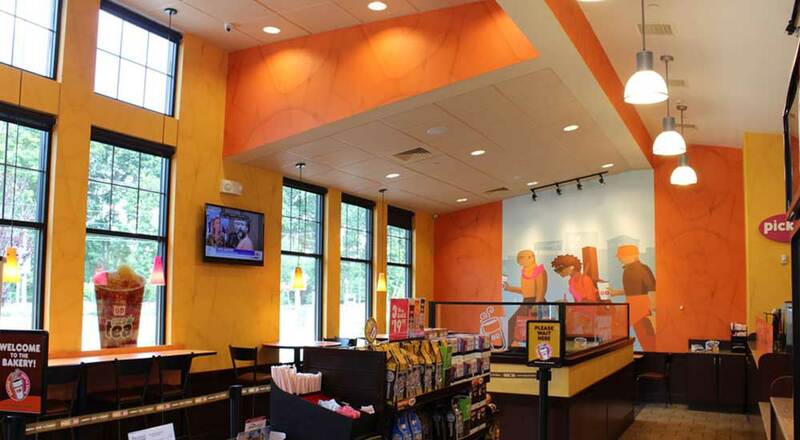 ( See example of Orange, Brown, Yellow for Dunkin Donuts). 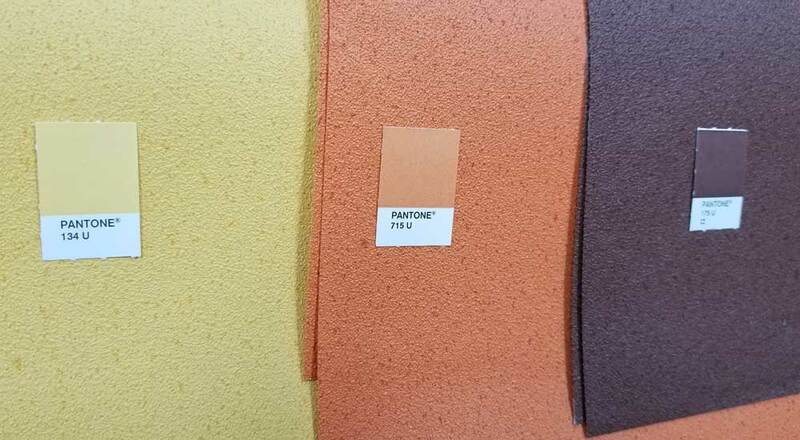 To start this process we will need a color reference chip, Pantone code, paint swatch, or fabric swatch of the color you would like to reproduce. Our design team will advise if your color target can be achieved, and you will receive an estimate on cost and lead time. *Custom color productions typically require a minimum order of 2500 yards but can vary greatly depending on the color requested. The standard Dreamscape products offer an array of textures. If you need something different from our standard offering, we can often find another solution from our extensive emboss library. To start, we will ask you for a sample swatch of the texture you are seeking to replicate. 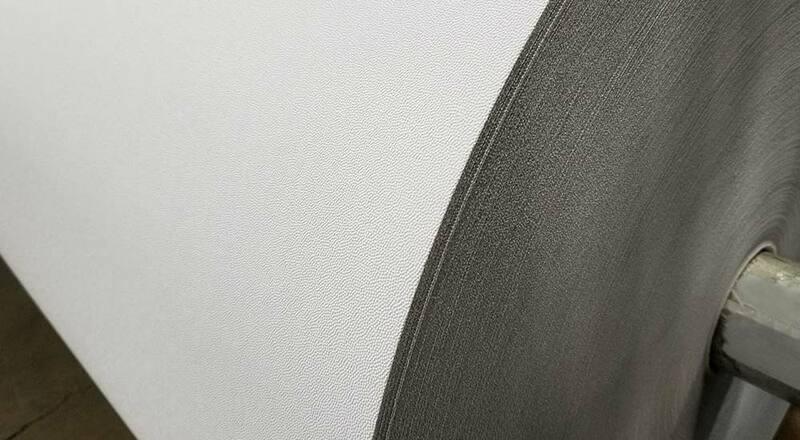 *Custom texture productions typically require a minimum order of 2500 yards but can vary greatly depending on the availability of the embossing tooling. Standard roll lengths for Dreamscape are 75′, 150′ and 300′. We also offer jumbo high efficiency rolls at 600′ for certain products. *Custom productions for length typically require a minimum order of 1000 yards. Dreamscape products are available in our standard 54″ width. Canvas, Mystical, and Matte are available in 54″, or 60″. Suede is available in 54″, 60, and 75″. We can customize the width of most of our products to your exact requirements. Custom requests should be within the range of 30″ and 60″. *Custom productions for width typically require a minimum order of 1000 yards.